Jermaine Clement | Cinema, etc. 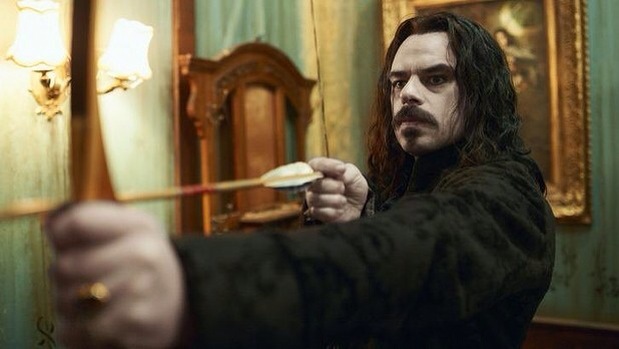 Taika Waititi and Jemaine Clement’s mockumetary What We Do In The Shadows follows a group of Wellington-based vampires as they try to come to terms with living in the 21st Century. It’s a nice new take on the vampire genre given the recent attempts by the Twilight Saga to ruin both vampires and werewolves for a whole generation, but it didn’t really get going until the final third. 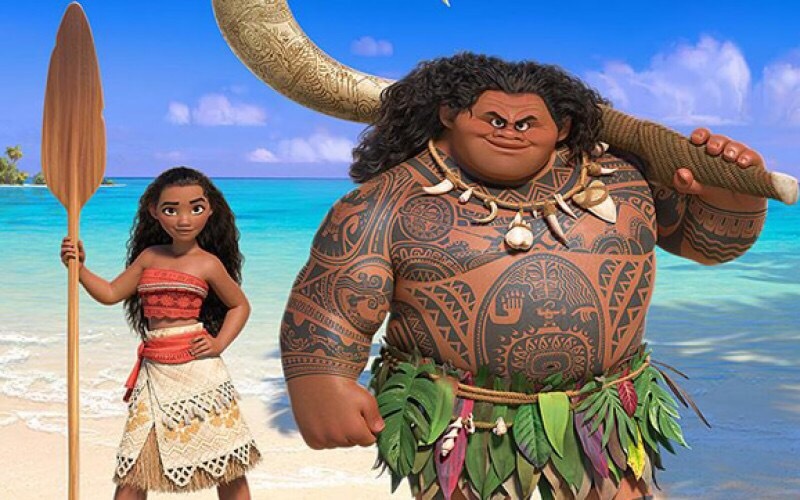 A lot of the dynamics of the humour come from the fact that the three main characters – Viago (Waititi), Vladislav (Clement), and Deacon (Jonathan Brugh) – have their own separate issues in adapting to and accepting a modern domestic life. Viago is a bit of a stickler for cleanliness, moaning about the dishes not being done and putting tissues down to protect the carpets before he bites into victims’ necks. It works well for most of the film and they’re able to create a lot of humour from the situations. One thing it borrows on heavily from Waititi and Clement’s most successful collaboration – Flight of the Conchords – is the ability to inflate the mundane everyday goings-on of the main characters to create massive issues. They’ve clearly thought the subject matter through and found some humorous takes on what could happen if vampires had to, for example, go clubbing. First of all, they can’t check themselves out in the mirror as they have no reflection, so they have to draw pictures of each other to illustrate what they each look like. Secondly, the only clothes they have are salvaged from their victims, so outfit choices are limited. It is funny, but not side-splittingly hilarious. Towards the end of the film, their relationship to the local werewolves provide some huge laughs and the situation at the annual social dinner with other vampires (plus zombies) is also well thought out and delivered. It was the pay-off for what at times felt a little contrived throughout the saggy middle of the film. Mockumentaries are a strange thing. Some people love them, some people hate them. They’re always going to get compared to the genre-defining Spinal Tap, which is probably never going to bettered. I saw past that, but couldn’t help thinking that it was both a great idea and a missed opportunity. This isn’t a film that necessitates a trip to the cinema, but would be a worthy view once it becomes available on the various home entertainment channels early next year, especially if you’re a fan of their previous work. 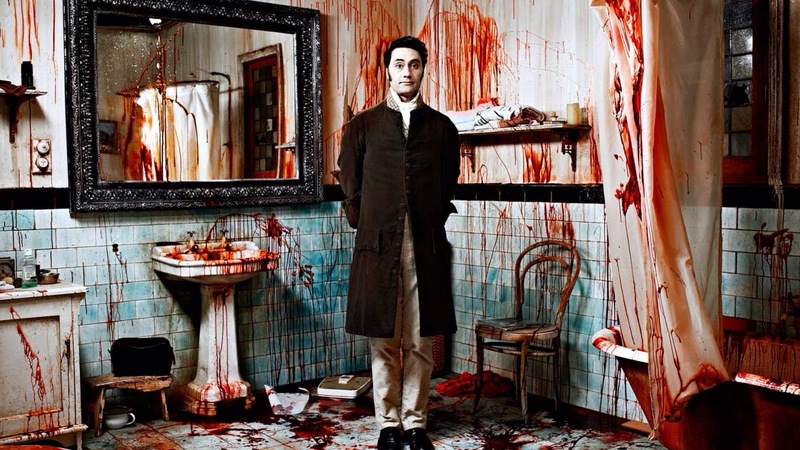 What We Do In The Shadows is released in the UK on 21st November 2014 and in the USA on 13th February 2015.